What an amazing finale to the Cross Country season! 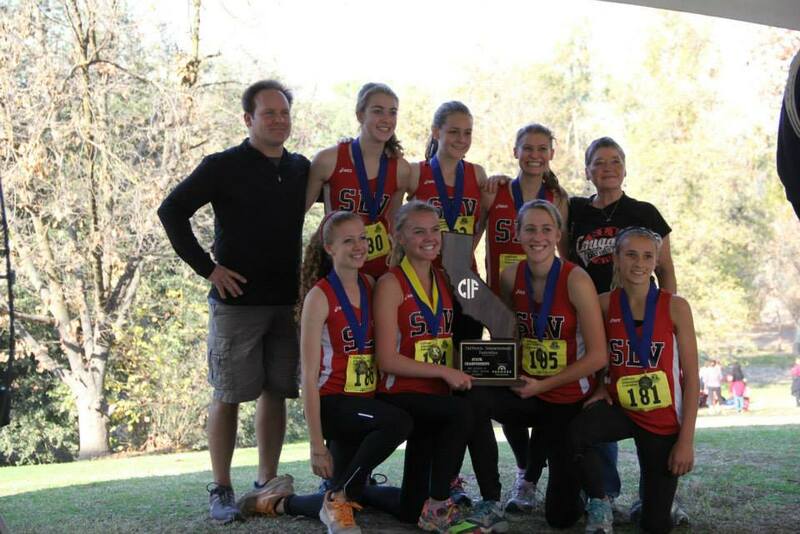 The girls took first place at both CCS and the State Championships. Not only that, but the girl’s team took first place at many other past meets, for example, the Mt. Sac Invitational and the Stanford Invitational, and took second place and the SCCAL Championships. The boys worked just as hard, and they took first place at Mt. Sac and third place at the SCCAL Championships. The girls and their coach after their CIF win. I think winning State was the best ending to four years of high school running . . . To us seniors it was extra special, because we all knew it was our last chance. We never lost sight of the ultimate goal [and] we were all extremely focused. Also at the State D-IV Championships was Jacob Hicks, who qualified as an individual by taking 5th place with a time of 16:08 at CCS. As the only boy to represent the San Lorenzo Valley at the State Championships, he did fantastic; he placed 26th out of 197 boys, with a time of 16 minutes and 26 seconds. Jacob who is also a senior, ended his last high school Cross Country season with a bang. Jacob Hicks and the girls at CIF. The CCS Cross Country Championships also went very well this year. 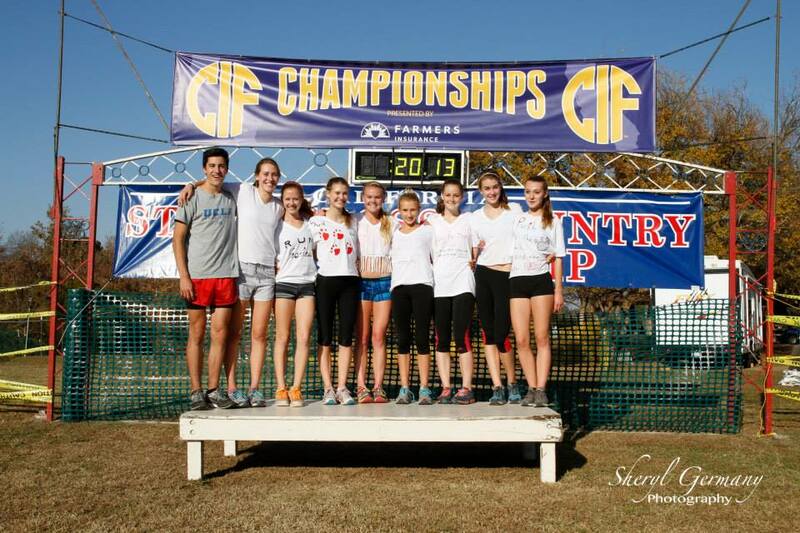 Although Jacob was the only boy to qualify to represent the mighty Cougars, the San Lorenzo Valley Girl’s Cross Country team took 1st place, out of the 14 teams in the race, to qualify for the CIF State Championships. Anna Maxwell is the first girl from CCS to ever finish with a time under 17:00 in the 50-year history of the course. She took first place at the race on the 2.95-mile course with a time of 16 minutes and 53 seconds. Taking first place at CCS was a combined effort. Along with Maxwell was Claire MacMillan who took 4th place with a time of 18 minutes and 20 seconds, Abbey Meck (19:05), Abby Sherman (19:18), Jessica Jensen (19:22), Jessica Germany (20:12), and Katie Lamb with a respectable time of 20:24.